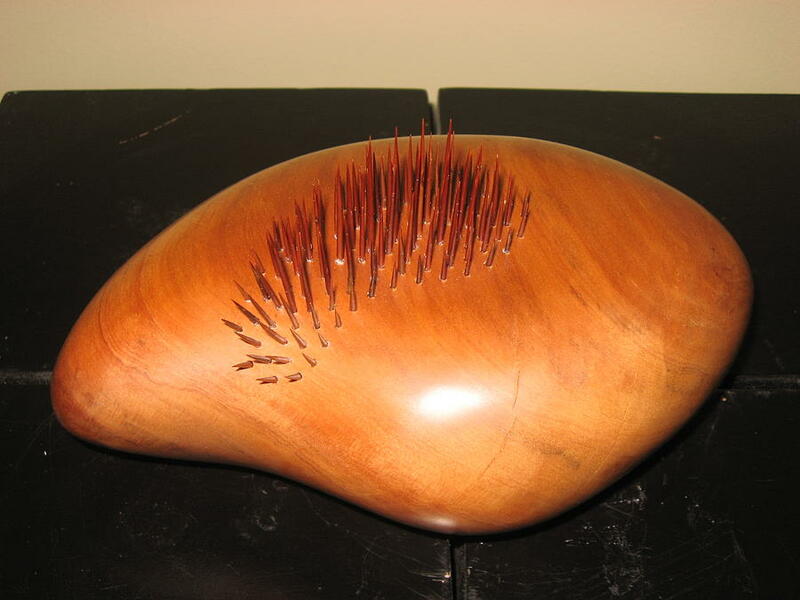 Mohawk Tigerwood - Astronium Robinia is a sculpture by Shawn Roberts which was uploaded on January 15th, 2010. By combining two different types of wood and thorns I am creating a new species, found only in my mind. There are no comments for Mohawk Tigerwood - Astronium Robinia. Click here to post the first comment.